Alesis Fusion enthousiasts call it "the Beast". If you want to know why, then go to the official Alesis Fusion page. There are also two forums about the Fusion. You can find them on the links page. Here you can read a review about my favorite synth. 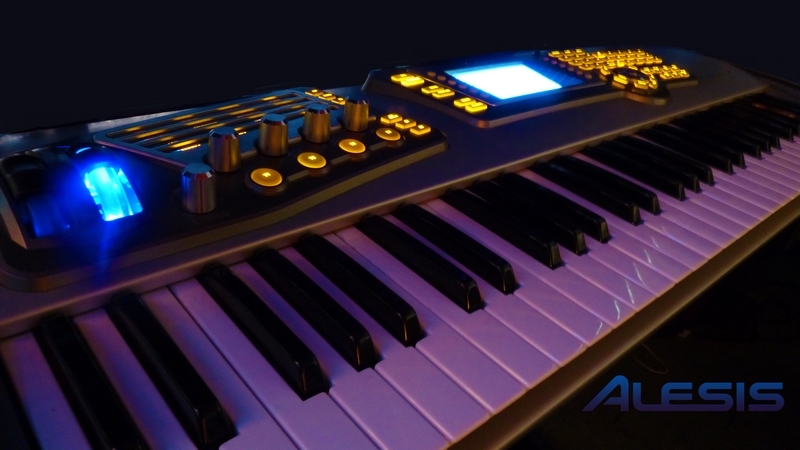 The Alesis Fusion comes in two flavours: A 61 key-version with half weighted key action, the 6HD, and also the 8HD which has an 88 key hammer action keybed. I have the 61-key version. Both versions are, besides the keybed, 100% identical. The Fusion came on the market at almost the same time as the Korg Oasys in 2005/2006. Until that time i had used a lot of different synths, like Yamaha V50, Korg T3, Yamaha SY77, Korg Trinity to name a few. I was looking for some new gear and I liked the idea of the Korg Oasys, but it was too expensive at the time, with a pricetag of about 7-8000 euros. But then came the announcement of the Fusion at the NAMM-show in Anaheim. It had about the same specifics as the Oasys, like harddiskrecording, a big harddrive (40gb), 4 synthengines and a way better sound than my old Korg Trinity, which i was using at the time. At first, the price of 3200 euros also was a bit high for my wallet, so i thought: "O well, i have to stay at my Trinity for a while, that's a pity!" In the meantime, the Fusion came out. It had a hard landing: It looked like the synth was not ready. The OS was buggy with some nasty bugs. The rumour was spread around the net that this synth was not very good. This was not true at all, but some liked to trash the synth. After a while Alesis managed to fix most of the bugs and added some nice new features to the synth like 4 oscillators instead of 2. After the bad rumours about the synth, Alesis reduced the price of the 6 and 8HD, to put the synth in a better place on the market. Alesis hired Hollow Sun to make a collection of very good soundbanks to download for free. Now was the time i finally could buy the 6HD, as it only cost me about 1100 euros. I sold my Korg Trinity and a lot of other equipment and other toys and ordered the synth. I never regret buying it! What a sound and what a synth! I still believe, even after 8 years of having it, that no other synth comes close! -Unlimited amount of sounds in a soundbank. 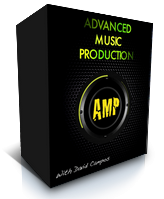 -Unlimited songs with unlimited midi events. -Direct access to every sound, without shuffeling soundbanks from or to memory. -A very big collection of sounds from for example Hollow Sun, Vstream and Klaus Peter Rausch (KPR). -Importing of soundfonts, Akai- and waveformat with the Fusionconverter-software. -Powersupply runs HOT, i got a new version after it broke down. -with some 6HD's the LCD display backlight stopped working. -sadly, the midi-sequencer still has bugs, making it very hard to work with properly. Because of this, the synth isn't a real workstation, but only a very good synthesizer. I use the harddisk recorder for my live performances, but not the MIDI-sequencer.